The past few nights a TV commercial for the Toyota Prius has aired, which prominently features a red Dr. Z amplifier. An old friend of mine ran into the “Doctor” several years ago at a Louisville Kentucky music store. He found the Doctor to be a warm and wonderful man, and my friend walked out of the store with a brand new Carmen Ghia amplifier. For those of you unfamiliar, Mike Zaite, a.k.a. Dr. Z played drums in a Cleveland Ohio rock band. His father owned a TV repair shop. 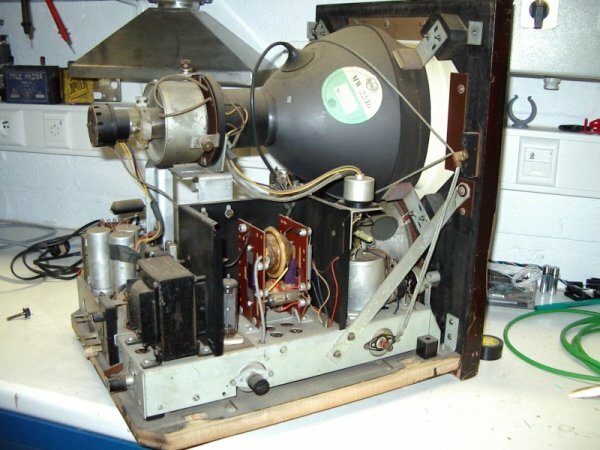 This was back in the days of Zenith and RCA televisions and radios that used tubes and were repaired instead of being discarded. So Dr. Z got his electronics educational start from his Dad. He got his start in the music business by building PA’s for local bands. Zaite admits to “studying and tweaking the inner workings of his band mate’s amplifiers, when the were not around. He eventually went off to Kent State University and got a degree in electronics. It was during those years he became acquainted with another electronics student, Joe Walsh. This relationship became very eventful in later years. Zaite went on to a lucrative job as a medical electronic engineer for General Electric. But Zaite’s first love was tinkering with analog electronics, such as amplifiers and P.A.’s. 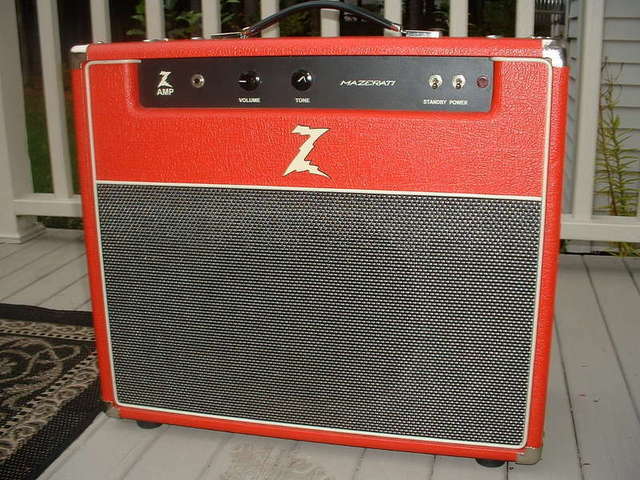 In 1992, Joe Walsh recalled the great guitar amplifiers that Zaite was building. Walsh borrowed one and took it apart in his hotel room. He was so impressed with the quality that he asked Zaite to build an amplifier for an upcoming tour with the Eagles. A year and a half later Walsh ordered a second amplifier from the Doctor. This amp caught the eye of editors at Guitar Player magazine. A feature article gave a positive review to Zaite’s SZR-65. 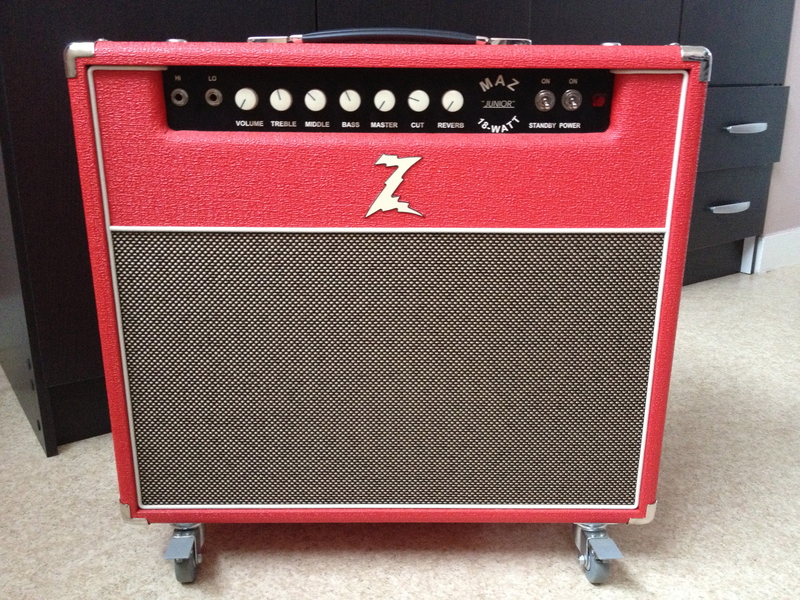 This was a large boost for Dr. Z amps. 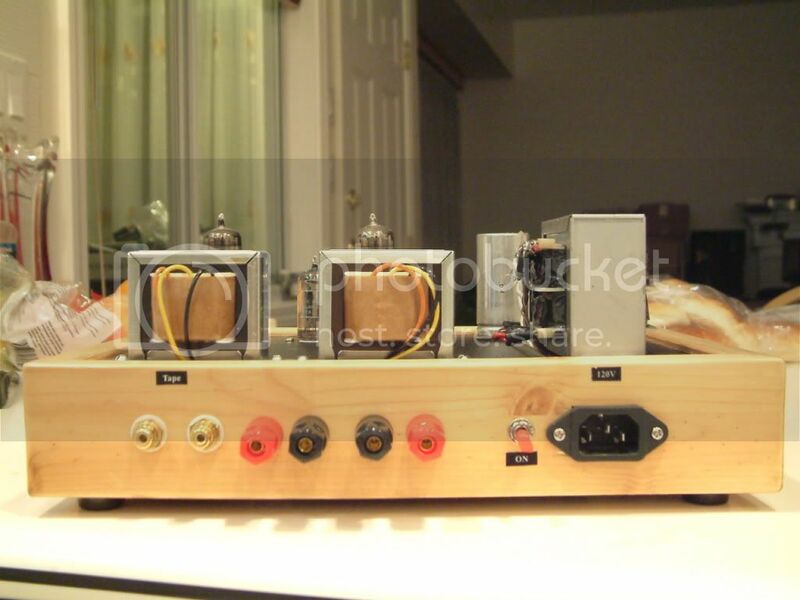 This amplifier was originally conceived as a head, but later was sold as a reverb combo amplifier. The SZR-65 is the only amplifier Zaite has built that has a cascading gain circuit. This was during an era when Marshall amplifiers ruled. Zaite used an ultralinear output transformer. This gave the amplifier the smooth feel of triode tubes with the power of pentode tubes. Zaite's first guitar amplifiers, were based on a Hammond organ reverb amplifier. He made modifications to the schematic, so he could build his own version. His first commercially available amplifier was the 18-watt Carmen Ghia, which was powered by twin EL84 tubes, a 12AX7, and a 5751, both for the pre-amp section. The only two controls on the Carmen Ghia were for volume and tone. 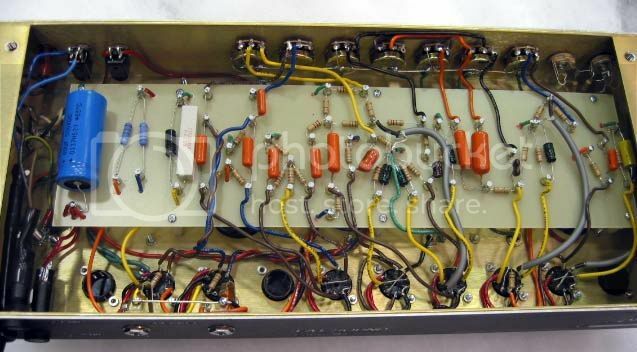 This is the amp he based on the Hammond Reverb power amp. I imagined it was named for the VW sports car of the 1960’s, however it was named for his grandson, Carmen. It was this amp catapulted on the fact that players had developed an interest in lower power amps that could be overdriven at low volumes. 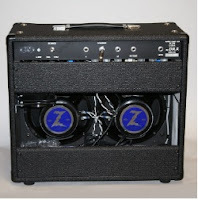 Around 2001, Dr. Z amps became the favorite of Country-Rocker Brad Paisley. 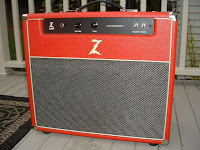 Zaite created several signature models for Paisley such as the Stang Ray, Prescription ES and the Z Wreck (which may have been based on Ken Fisher’s Trainwreck amp.) Paisley performs several Dr. Z amps at every show. Zaite’s career in medical electronics has served him well. Manufacturers of medical devices fall under strict government guidelines. Therefore they are overbuilt, to prevent any harm to a patient. Zaite follows these guidelines in his construction by using chromate converted aluminum for his amplifiers chassis. This improves the grounding of the amplifier, by raising the conductivity of the chassis. Some early Marshall amps used aluminum chassis and so did Ken Fisher’s Trainwreck amp as well as some other boutique amplifiers. 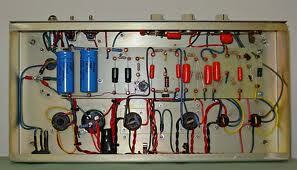 Dr. Z also uses ultralinear transformers and amp design. These give his amplifiers respond richly like a triode tube amp, but with the power of pentode tube amplifiers. This results in higher dynamics for the primary note and harmonics. Dr. Z also uses specially designed coupling capacitors from Sprague. Because he purchases them in a very large batch, the company is possibly more concerned about consistency. Zaite prefers Celestion speakers and most of the earlier models used Celestions. However Dr. Z has created his own line of speakers. 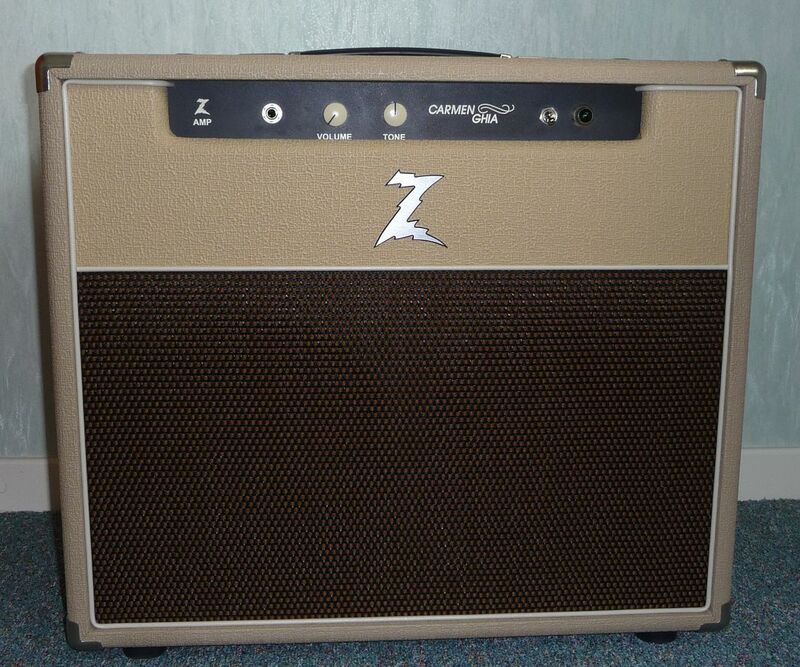 Some newer amps use Dr. Z speakers and other models come with Celestion speakers. 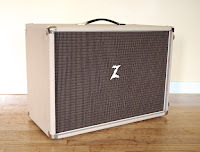 Zaite also offers the Z-Best speaker cabinet. This is a 2 – 12” ported specially designed cabinet that has an adjustable shelf behind the speakers and is based on the long throw ported Theile design. Most of us are familiar with the fact that different style cabinets are just as important as tone controls. The adjustable shelf offers a variety of sounds to fit your style. This closed-back cabinet comes with a variety of drivers, depending on your desired tone. 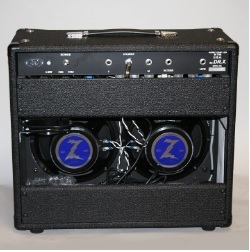 Dr. Z also offers a 2 – 12” open back cabinet and cabinets feature one, two or four 10” speakers. The doctor also has developed a Lens for speakers on amps that have open-back cabinets. The Lens equates to the Tone Ring used on older Fender amps. Dr. Z’s Lens is adjustable, for desired sound projection. Two other features that make “Z’s” stand apart are the Cut control. This control is tied into the output tubes and gives the player the ability to scoop frequencies and give the sound more or less brightness. The other feature is what Zaite refers to as a conjunctive filter, which affects the impedance of the transformer allowing frequencies to be balanced, thus providing even amplitude across the spectrum. 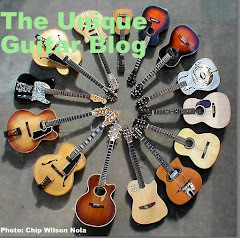 If the players picking is even on each string, he or she will get the same volume on each string, making the sound more dynamic. Dr. Z offers a variety of amplifiers, from the 5-watt Mini Z to the 60-watt SRZ-65. Most of his amps are in the 30-watt range, which he fells is loud enough for a small venue or when mic’d can blow away an arena. He says his favorite model is the Route 66. This is his top seller. The 32-watt amp head delivers a sound loosely based on the Marshall JTM-45, although the tonal qualities are unique, due to the use of the EF-86 nine pin pentode tube. This unusual tube is used on high end stereos for accurate transfer of signal, balance and headroom. 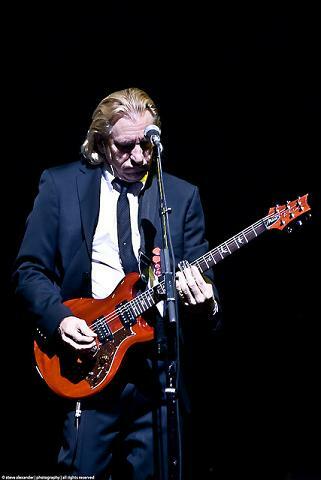 The MAZ-38 NR is a very recognizable amp that was made popular by Joe Walsh. It’s based on 4 EL-84’s, 3 12AX7 and a GZ-34 rectifier. This amp comes with the “cut” feature and provides the player with 38 watts of RMS power. Dr. Z has some attenuators he can prescribe. The Z-Air brake is the top of the line. The Z-Brake Lite can be mounted inside any open back cabinet. If you prefer the Z-Brake SA (stand alone) can be used for closed back cabs or as a pedal board feature. Getting back to the Dr. Z amp featured in the Toyota Prius ad. I’m not certain if there was an actual connection with Zaite’s company. I am told the director was a fan of Dr. Z amps and thought the amp was cool looking and fit into the aesthetic nature of the advertisement. Watch the commercial carefully and you will see the Dr. Z in the back of the Prius is a MAZ 18 with 7 control knobs. As the commercial procedes, the MAZ 18 is now a warehoused sized mock-up of the amp with enough room for the Prius, a Sousaphone player and a party.